Skyrim is the fifth installment of the The Elder Scrolls Action Role-Playing videogame series. 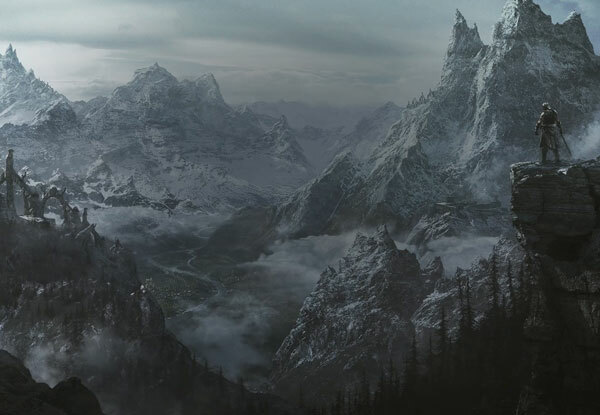 Skyrim takes place in the fictional province Skyrim in the continent of Tamriel on planet Nirn. 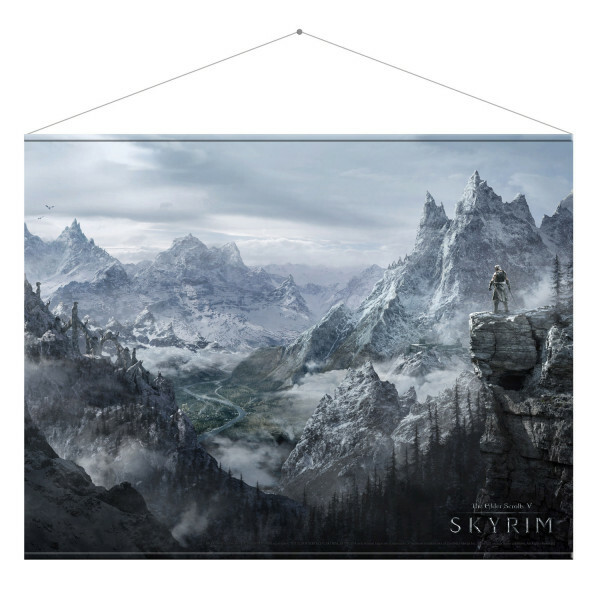 This High Quality Fabric Wallscroll shows the artwork of the Dragonborn on a cliff above a beautiful valley out of the video game Skyrim.The Wallscroll for home decoration is about 100cm x 77cm in size. Ships in retail packaging, a clear tube with euro header.